I’m in Columbia, Missouri visiting various folk at the University here. 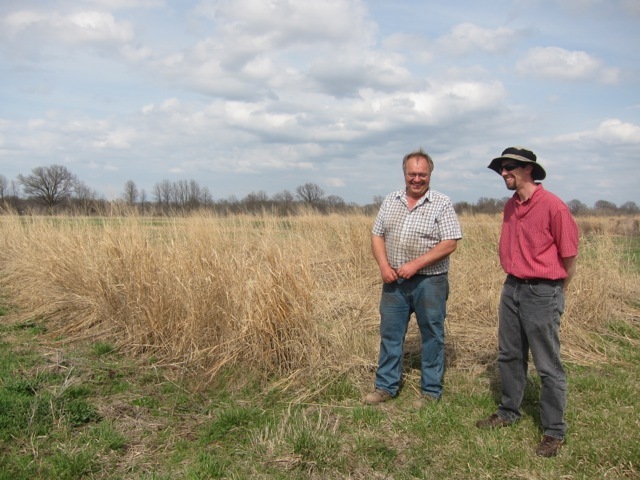 Today, I was out at the Bradford farm, one of the University farms, talking to Tim Reinbott. 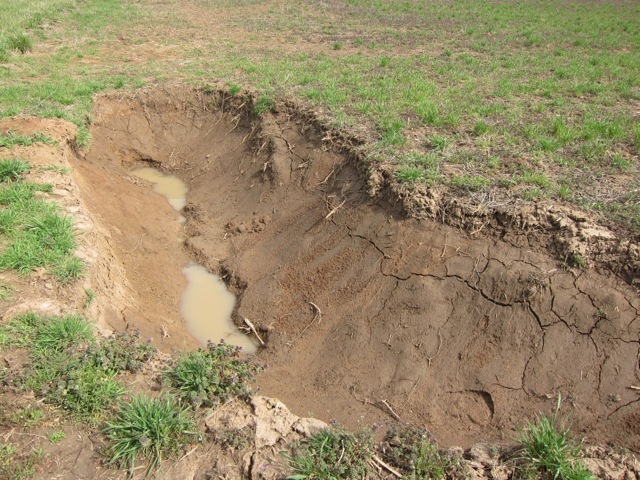 You can hear him here talking about how the soil structure has gone down, the emergence of weeds in the GM crops after 10 easy years, increasing diversity above ground and use of cover crops to improve soils, reduce weeds and fertiliser use. 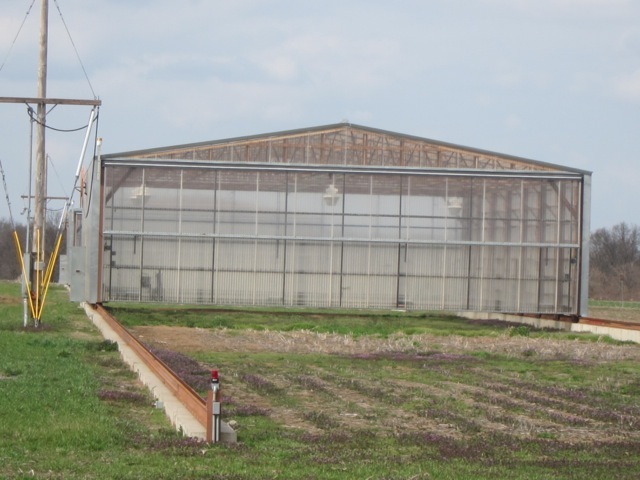 The site also boasts a two movable greenhouse like structures (rainout shelters) to research crop response to drought stress. He’s also pioneered composting waste from the university catering to fertilise the vegetables they grow for the canteens and using their used cooking oil for biodiesel to fuel the work. He also repeated work he’d read about in Science that many scientist were sceptical of showing that the more diversity you have the more biomass can get, with results that match or surpass that produced by fertilised monocultures. Below: Tim (left) talking to David Braun. 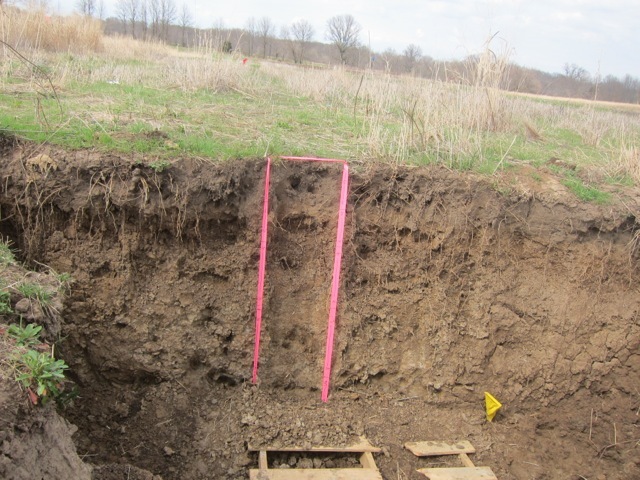 Soil profiles – 60 years in prairie grass and 60 years continuous cropping – guess which is which – listen to the clip, and rainout shelter. This entry was posted in Reports and tagged building diversity, climate, environment, gm crops, rainout shelter, recycling waste, science, soil profiles, Soil structure, weeds in GM crops. Bookmark the permalink. E Waste Recycling is one of the major issues that need to be addressed by the nation to make the environment pollution free and greener.